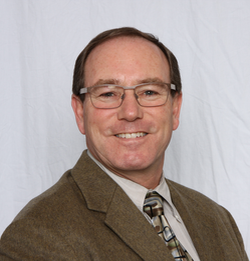 Dr. Paul Geneau graduated from the University of Waterloo School of Optometry in 1981. He first practiced in Invermere, BC, from 1981 to 1989, and has been located in Nanaimo, BC since then. Dr. Geneau has always been very committed to his profession; he has been actively involved in provincial and national associations since 1992. He is currently the president of the Canadian Association of Optometrists. He has been an active Rotarian since 1981, and believes in Rotary's motto of "Service Beyond Self". Being attracted to volunteer work, Dr. Geneau has travelled on over 30 eye care missions with Canadian Vision Care to Jamaica, Costa Rica, and Malawi. He believes that an optometrist is privileged to be able to give the gift of sight, and finds that it is an even more rewarding experience to be able to do so for people, in developing countries, that are without access to eye and vision care. Enjoying sports and physical activity, in high school Dr. Geneau played football, did track and field, and was a champion wrestler. Later, he became a blue belt in Judo, coached children's sports, and still enjoys playing squash, scuba diving and golfing. Reading is a favourite activity, fiction and non-fiction, and he usually has an online game of Scrabble happening. Paul has been married to Cathy since 1979. They are very proud of their three children and five grandchildren. They are both deeply committed to their family, and regard Optometry as an extension of that family.